Everywhere you look this time of year, you find cookies. 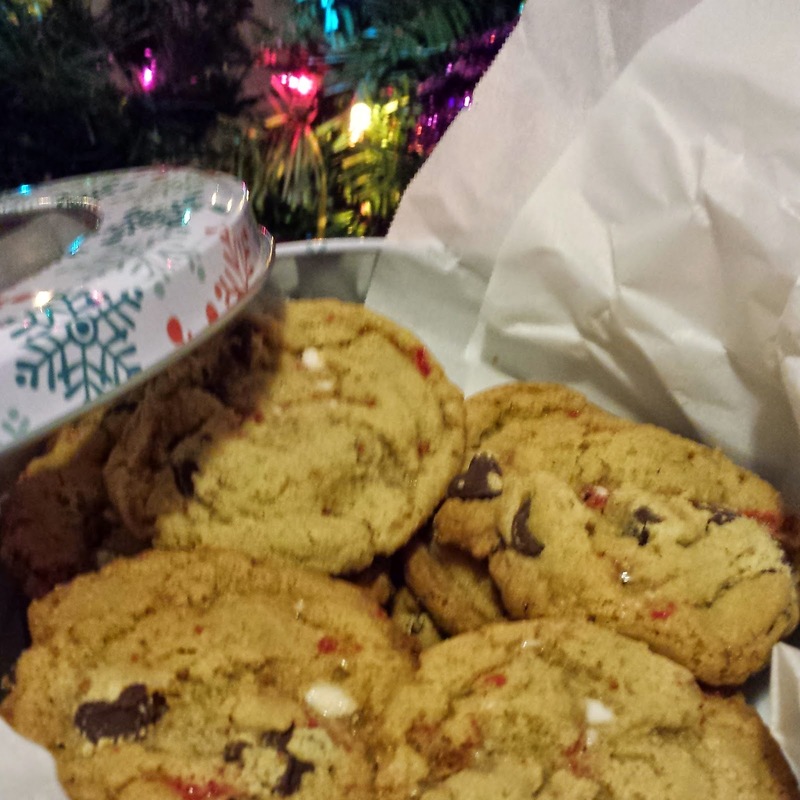 What better way to celebrate the holidays than to give, receive, bake, bring or buy cookies? Have you ever brought cookies to an event and had people say "Ugh cookies?" Not going to happen. 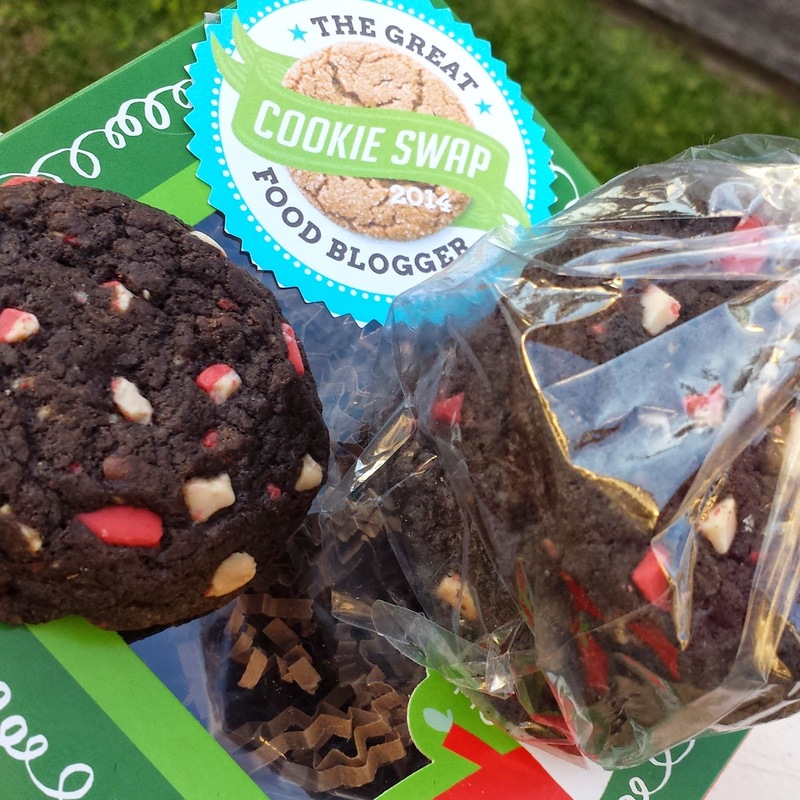 This is my second year participating in the Great Food Blogger Cookie Swap. Sharing cookies with someone you've never met and sharing the blog love as well. Everyone who participates is assigned three people. You bake your cookies and ship them off. In return, cookies come your way. Just like magic. Not to mention you get introduced to other food bloggers and enjoy treats that you didn't bake. It's wonderful! I sent aloha by mail to Emily @ Life on Food, Danae @ Recipe Runner and Sarah @ Curious Cuisinere. If you're looking for some inspiration, hit up their blogs or get to instagrammin'. 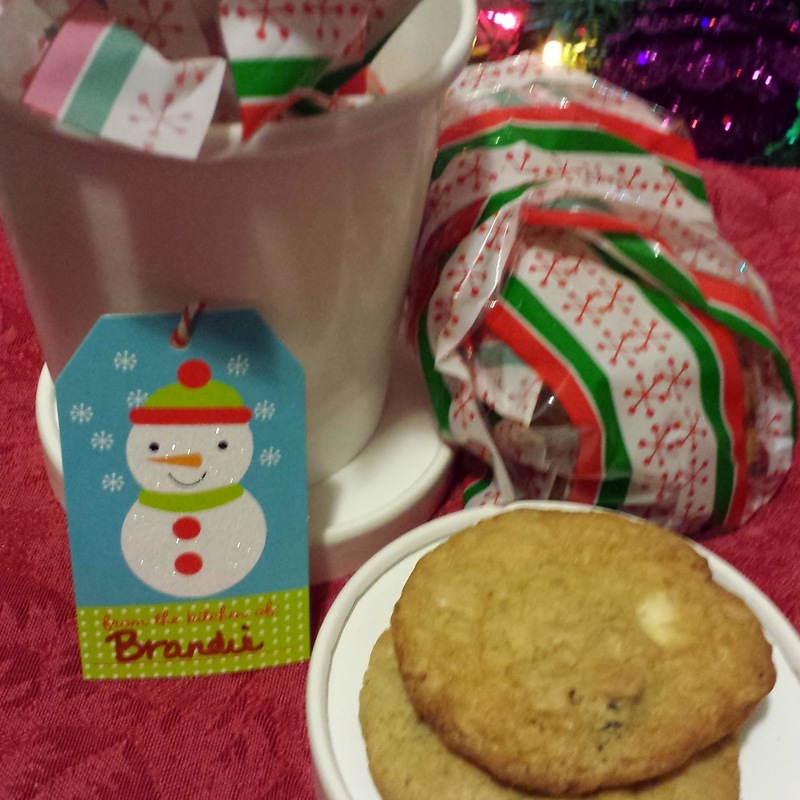 You'll also see what cookies they made for their lucky recipients. I love peppermint everything, so I was excited to get these treats delivered to my doorstep. Now to share the recipe that I made: Hint of Hawaii Toffee Bars. Toffee and toffee bars have been a part of Christmas in our family forever. Now that I'm in Maui, it was logical to add some coconut and macadamia brittle to to the mix. 1. Line a 9x13 pan with foil and lightly coat with cooking spray. Preheat oven to 350. 2. In a large bowl mix butter and brown sugar. Ad din egg yolk. Slowly add in flour. Add in toasted coconut. 3. Using floured hands (dough is sticky), press the crust into your pan. 4. Bake for 20 minutes, until crust is light brown. 5. In a medium sauce pan combine butter and sweetened condensed milk. Stir constantly over medium heat until bubbly and then cook and stir for 5 minutes. Remove from heat. Stir in vanilla. 6. Pour over baked crust. Spread it so that it covers the whole crust. Bake for 12-15 minutes until golden brown. 7. Remove bars from oven. Sprinkle with chocolate chips. Bake 1-2 minutes until chocolate is shiny and melted. Use a spatula to smooth chocolate over the bars. 8. Sprinkle with your toppings of choice. Allow to cool on the counter, then completely cool in the refrigerator. Use foil to remove bars from pan and slice in rectangles or triangles. To see the roundup of recipes of everyone who participated, click here (part 1) and here (part 2). These were simply amazing! It's no wonder they are a family tradition! Thanks so much for the package!